The distributed blockchain protocol is one of the more interesting developments in computing. It creates a cryptographically verifiable and yet decentralized ledger of transactions. While there are many applications possible for such technology, the most popular one so far has been financial, creating so-called cryptocurrency such as Bitcoin. While there are many things that cryptocurrency can excel at, a replacement for currency is far from one of them. The only way a cryptocurrency has value is with a thriving market of buyers and sellers. In this way, it functions more or less as a stock. And stocks all have the same problem, volatility. Viable currencies typically have a very stable value with only minor fluctuations in value relative to other instruments. When there are large swings (think the Zimbabwean dollar or Weimar Republic marks), currencies end up collapsing and becoming largely worthless. Without some predictability that the currency you hold today will be worth more-or-less the same next month, next week, or even later this afternoon, it becomes quickly abandoned and nobody is willing to “buy” it. This volatility creates enormous problems. At some point you have to exchange cryptocurrency for, well, real money. What if a merchant who accepted $10 worth of it this morning finds that, merely hours later, it has dropped back down to $2? On the flip side, what if that $10 shoots up to $40 the next day? You find yourself in a position where you are both scared to accept it and to divest it because you’re unsure if doing so will result in a loss or robbing yourself of possible future gains. This might be a lot of fun for a stock, but the economy can’t function when you replace currency with the NASDAQ. Cryptocurrency promoters know all this. They constantly talk about “exploding value” and “market capitalization” in the same way that real estate speculators did in 2006, dotcom enthusiasts in 1999, and gold bugs do, well, basically all the time. To them, there is no reason to not accept cryptocurrency because, duh, it will always go up in value! But if it always goes up in value, why would you ever choose to spend it? Therein lies the conundrum. So many of them are selling one cryptocurrency on the decline to buy another that’s rising, pumping and dumping like penny stock traders. And then there is the matter of security of transactions. There have been dozens of high-profile incidents of cryptocurrency theft. It’s been proven to be remarkably easy for someone to compromise a private system or an exchange acting as an intermediary. In effect, it is no more secure than cash sitting on your car’s dash in a sketchy neighborhood. 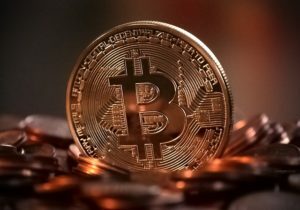 Whereas a credit card provides the security of dispute resolution and fraud protection, cryptocurrencies do no such thing. Yes, the fees are lower when you’re using Bitcoin, but you’re getting what you pay for here. If you choose to dabble in cryptocurrencies, by all means do so. The more people experiment with it, the better we’ll understand the potential applications for distributed blockchains. Just don’t you dare tell me that it’s a replacement for my cash and credit cards.